The impact of the "Aesthetics of Resistance" at the end of the seventies brought attention back to a forgotten network of intellectuals, activists and cultural producers. Through the pages of the novel the alter ego of the author, Peter Weiss, becomes a connecting agent who enacts untimely forms of collaboration and dialogue challenging historical periods and nationalities. This lecture will explore the specific connections between Peter Weiss and Harun Farocki as well as other affinities among cultural producers of the seventies. Carles Guerra is Director of the Fundació Antoni Tàpies in Barcelona, where he recently co-curated "Harun Farocki. Empathy" with Antje Ehmann. He is author of the video interview "N for Negri" (2000) and curated "1979. A monument to radical instants" (2011) for La Virreina Centre de la Imatge, Barcelona, at the time he was director of that institution. 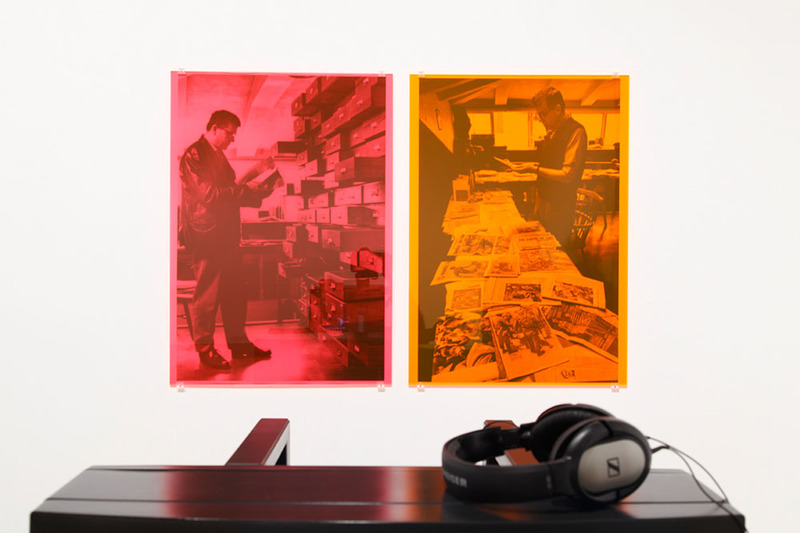 For that project he accomplished extensive research at the Peter Weiss' archive of materials related to the production of the "Aesthetics of Resistance" in collaboration with Andreas Wutz. Achim Lengerer is artist of the exhibition.